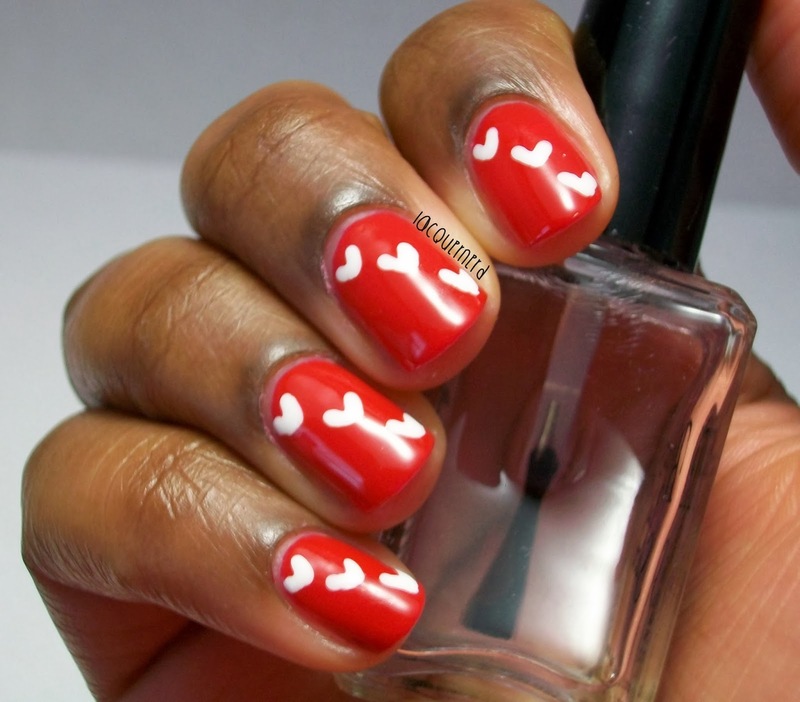 I have another Valentine's Day themed design to show you today! Before I used to hate Valentines Day (still kind of do lol) but I've been having fun coming up with Valentines Day designs lately. This is a simple and cute design that I came up with today after one of my designs failed. Let's get to the design! 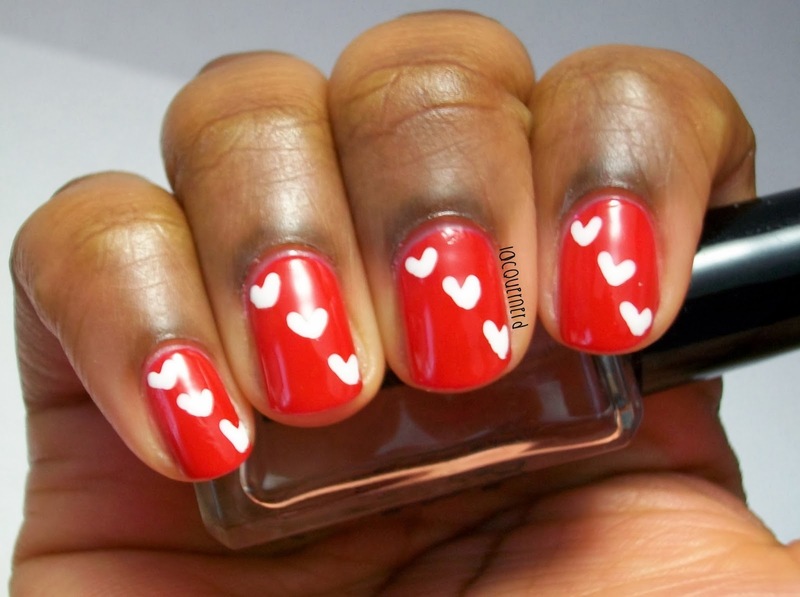 For this design, I applied two coats of Wet n Wild's I Red a Good Book (my favorite red polish right now!) as my base color. 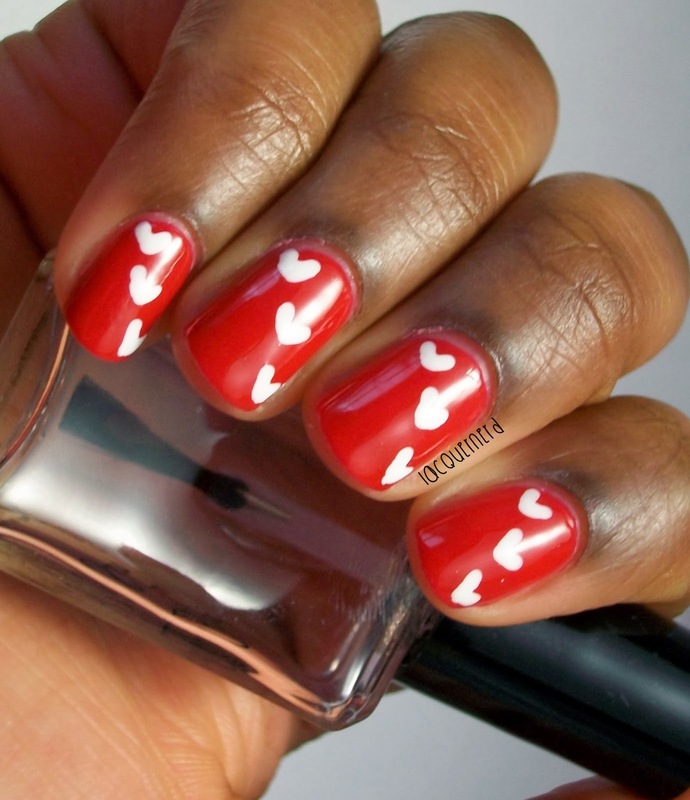 With a dotting tool, I made three hearts going diagonal on the nail with Sinful Colors Snow Me White. Finally, I sealed my design with a top coat. I love how simplistic this design is. It's really cute. I wish I had used a different color than white because of the major glare on the photos, but I'm happy with it. What do you think of this "Hearts in a Row" design? AWW, your nails look so cute!